Tom has spent his entire legal career with Meier, Kennedy & Quinn where he has enjoyed a successful practice advising employers on wide-ranging employment issues and defending contract, discrimination, harassment, and other employment claims raised by employees. Tom is also involved in sensitive and challenging issues related to defense of sexual abuse allegations. 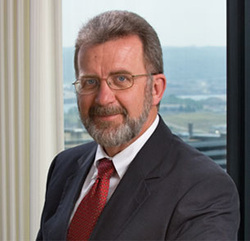 Tom regularly speaks at conferences on employment, education, and litigation topics.